I'm always taking pictures. Check them out here. 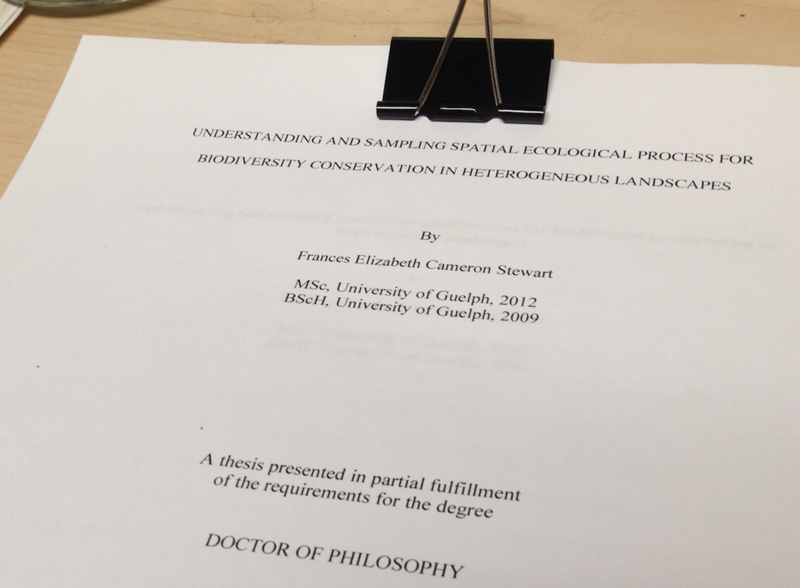 April I successfully defend my PhD thesis! April Fisher kit photos are now on the Moraine Mesocarnivore Project website. Check it out! October I submitted the first research paper for publication from my PhD thesis. September School is in, data collection complete. Let's publish some papers. November I'm field bound for a few months to ﻿Alberta's Cooking Lake Moraine﻿ for my PhD data collection. September I am looking for a research assistant to aid me with data collection. July Last week I got to take part in some Vancouver Island Marmot research. June Our work is being featured on the next CBC's Our Edmonton Program here. May The Moraine Mesocarnivores Project now has an official website. April Think you know about wolverines? Think again. Check out an article featured in the BBC. March I'm the lucky recipient of the Royal Canadian Geographic Society Research grant and the Fur Institute of Canada's 2015 Bruce Williams Foundation Research Grant.